Driver, a global technology platform that connects cancer patients to the best treatments, recently launched in the United States and China. Driver’s platform enables any patient, anywhere in the world, to access from home treatment options across an unprecedented network of cancer centers. According to Driver, while there have never been more cancer treatments available, patients and their doctors are often unaware of all options, and consequently patients may not be living as long as they could given the treatments that exist today. Driver’s platform eliminates this knowledge gap, empowering patients to access the best treatments all over the world. 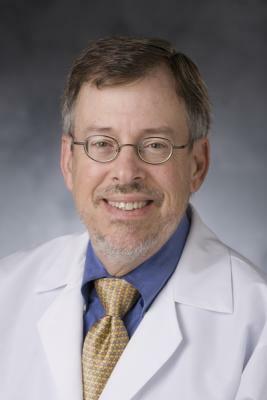 “Clinical trials are key to enhancing outcomes for patients with cancer," said James Abbruzzese, MD, DCI professor of Medical Oncology and chief, Division of Medical Oncology. "Yet, access to cutting edge novel cancer treatments and clinical trials remains a significant challenge for patients and families. Driver has developed a high technology internet-based solution to this problem that will connect patients to the best trials throughout the United States based on a patient’s individual needs." The U.S. National Cancer Institute and the Chinese National Cancer Center are the founding members of Driver’s global network. To date, more than 30 leading cancer centers comprise Driver’s network, including the Cleveland Clinic, Mayo Clinic, Massachusetts General Hospital, University of California, San Francisco, University of California, Los Angeles, Duke Cancer Institute, University of North Carolina, and Emory. Driver’s platform occupies the empty space between the patient and the hospital. Patients join the platform using a mobile app, through which Driver obtains consent to acquire the necessary information -- medical records and tumor samples — to connect them to their best treatment options. The patient receives treatment options for both guideline-based standard of care and clinical trials available through Driver’s network. Patients have the opportunity to review their treatment options over video with an expert oncologist, and then can select a hospital within the Driver network for further evaluation. Driver arranges the appointment at each patient’s hospital of choice and delivers their records and other information required for the evaluation. To extract the information from patients’ records and tumor samples, Driver’s platform utilizes a combination of proprietary software and hardware, including two automated clinical laboratories, one in San Francisco and a second in Shantou, China. Driver validated its treatment matching software in collaboration with the US National Cancer Institute, the results of which were presented at the 2018 Annual Meeting of the American Society of Clinical Oncology. In addition, both Driver’s US and China laboratories are certified under the U.S. Centers for Medicare & Medicaid Services (CMS) Clinical Laboratory Improvement Amendments (CLIA) program, and accredited by the College of American Pathologists (CAP), the gold standard in laboratory accreditation. Driver’s lead investor is Horizons Ventures (Li Ka Shing), with whom Driver has partnered from its inception to build its platform in China in parallel to the United States. From Driver’s software tools to its automated laboratory to its cloud-agnostic software architecture, Driver processes patient information in China identically to patient information in the United States. With headquarters in both Shanghai and San Francisco, Driver is the first technology platform to co-launch in the United States and China.